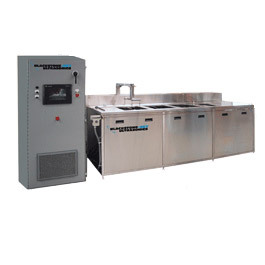 Blackstone-NEY Ultrasonics boasts a full line of individual ultrasonics tanks, multi-tank ultrasonic cleaning systems, as well as single piece flow-through ultrasonic conveyor systems. 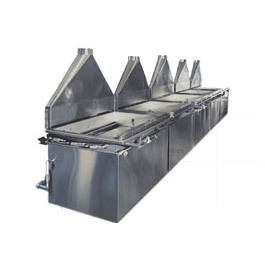 Blackstone-NEY Ultrasonics offers pre-engineered platforms in a variety of tank sizes and configurations to allow a "cook book" approach to meeting the most commonly encountered customer specifications. 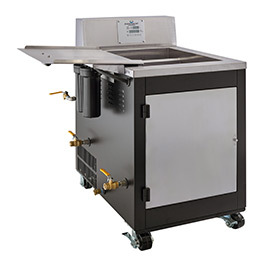 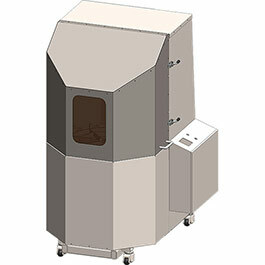 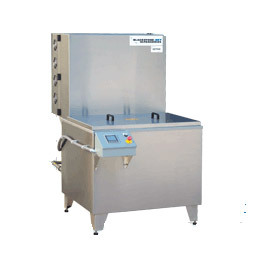 Our platform ultrasonic parts washers can be outfitted from a list of standard options or customized to meet your specific cleaning requirements. 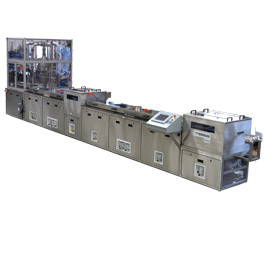 Automation and material handling solutions are readily available for our entire product line.